On the first day of my week without hating, I woke up with a sore throat and discovered I was a victim of identity theft. Call it beginner’s luck. I’m not much of a hater, but I wanted to explore the role of hate in my life, and whether it was truly warranted. Did I need it to get through my problems? What was the alternative to not hating? Would that alternative even be worth exploring, when hating was so much easier? 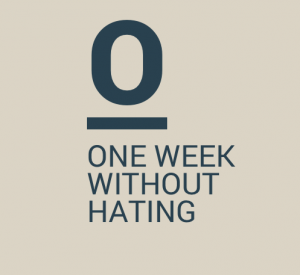 It was for these reasons that I took on the challenge of going one week without hating. Here’s the story. Experiencing identity theft on the first day of this challenge was a definite test. How the universe knew to serve up an order of identity theft on the very day I decided to quit hating I’ll never know, but mystery is one of my favorite things about life. For whatever reason, this bizarre situation was happening to me and I’ll admit, seething over it was my first move. I was beyond upset and had to find some way to cope that did not involve hating. This meant refraining from phrases like ‘I hate whoever did this to me!’ and ‘I hate that I have to deal with this right now!’, which was pretty tough. I felt hurt, violated, and foolish for being so trusting and loving towards people up until this point, because now I was seeing them for who they really were. But true to the experiment, I forced myself to view this as an opportunity to see where not hating would lead me, and what the alternative would be. I decided to refocus the lens a little bit, and zoom out from the entire situation. I realized I was too hyper-focused on the atrocity of the moment, so I tried instead to see the incident as something that happened five years ago, versus five minutes ago. I’m not sure why I thought this would help me deal with the situation, but it did. It helped me ease into it, versus knifing my way through it, because it provided a kind of relief, as though it was all already over and dealt with. It completely took the pressure off the moment, and made it that much easier not to hate. It was apparent over the next couple of days though, that hate played a pretty big role in my daily language. I started to feel frustrated for not being able to hate small things, like the default Evernote font on a PC (Tahoma, size 14, I can’t stand it). But what made me even more frustrated was loving the horrific font, because I thought loving it was what I was supposed to be doing if I wasn’t allowed to hate. This was the root of my frustration because I couldn’t find it in me to love and accept this default font that I had to annoyingly change every time I opened up a new note. It was then that I realized I didn’t have to love something to not hate it. I could strongly detest something without hating it, and that was okay. As the week progressed, I also found that I was becoming a lot more sensitive to the word ‘hate’. I found myself flinching at a salad bar when a girl said ‘I hate these tongs!’ and when my sister blurted ‘I hate Delta airlines!’ after unsuccessfully trying to book a flight. I found myself wanting to question their word choice, for experimental purposes if anything. I wanted to say, “What made you choose the word ‘hate’ right now? Do you really hate them?” But of course, I couldn’t say any of that. I was guilty of hating at some point or another too, and I didn’t want to come off as all high and mighty, or heaven forbid, overly optimistic. Those last few days I realized how desensitized we are in general to the word ‘hate’ and hating in general. When we hear it, it’s almost as normal sounding as ‘hi there’ and ‘how are you?’ And oddly enough, it makes us feel better. We hate our shoes when our feet hurt, and somehow this eases the pain. Around other people, we admit that we ‘hate that song too’ because we’re sort of attempting to make one another feel better. Overall, this experiment showed me a ton of things, but ultimately it showed me that while hating feels good, I don’t need it to feel good. I don’t need to hate in order to illustrate how badly I dislike something. I don’t need hate to make a situation easier or better, so in that sense I was able to answer at least one of the questions I had going into this: it wasn’t necessary to get through my problems. I also didn’t think hate was truly warranted in a lot of my situations. Nothing was done to me personally for any kind of vengeful reason. It wasn’t as though the identity thieves had a personal vendetta against me specifically. I was just a number to them, and a really unfortunate avenue for getting what they wanted. An alternative to hate that I discovered is remembering that hating is the antithesis of progress. It’s entrapment. It keeps you in one place, and closes your mind to other solutions. It’s easier to let things exist as they are, to accept the default Tahoma fonts and annoying salad tongs, even the identity thieves, who have far worse problems for being identity thieves in the first place. 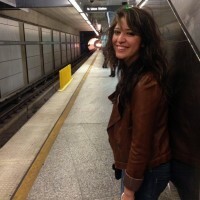 Monique Muro is a highly caffeinated writer and blogger from Los Angeles. She is currently developing a website designed to help people find direction, working on her first poetry collection, and blogging about the journey of it all. She occasionally reviews books for Examiner.com. You can find her on Twitter at @moniquemuro, and follow her adventures at A Novel Quest. Thank you, Monique (and Scott), for an excellent and thought-provoking post. Although he used words which have since become pariahs in our contemporary vocabulary, he made a very important point. Substituting “strongly detest” is a recognition that the word “hate” conveys extreme emotion and aggression. Toning it down is a good start. However, we should also bear in mind the Mahatma’s point that we need to differentiate between the person and the action – which was probably part of the sentiment that inspired this week’s experiment. 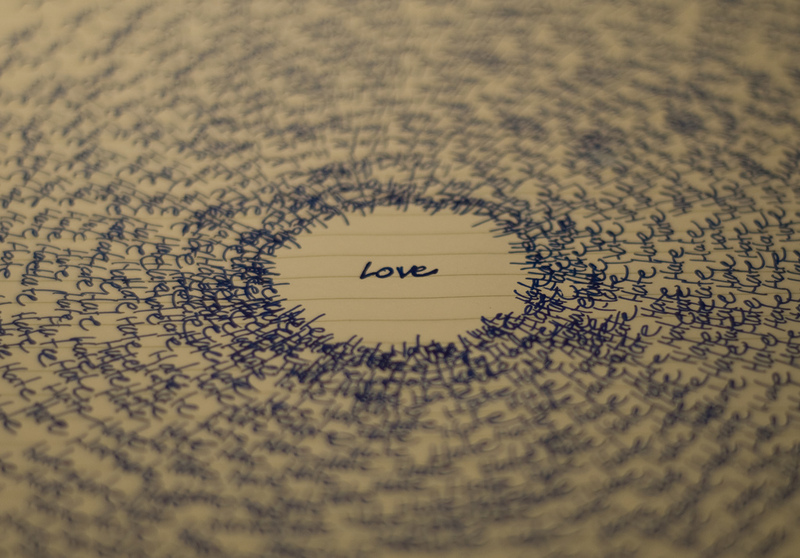 At the other end of the spectrum, we overuse the word “love”, applying it to inanimate objects. We say “I love my new TV,” or “I love your shoes”, when we really mean “I’m really enjoying my new TV”, or “Those shoes look good on you; you have excellent fashion sense.” The former phrases are shorter and easier to say, but collectively they somehow seem to dehumanize our lives. There’s probably a much better way to express that point, but I think you know what I’m getting at. Pondering what you wrote made me think of an idea for OWW/O: One Week Without Myself. Most of us have matured enough to bring our egos under control, but it would be interesting to make a conscious effort to note how often we say “I want…”, “I need…” or “I did…”. I’m going to try it, but I’m not organized enough to be a writer, so if anyone wants to work up a blog entry out of “my” idea, go for it. You make some really, really great points here. Honestly, this manner of separating the person from the action is something I haven’t thought about much since Sunday school, which is part of why it’s so refreshing to hear it here. I do like your suggestion for One Week Without Myself as well! I would love to hear how your experience goes (even if not as a blog post or anything) and would be glad to take on the experiment myself as well!